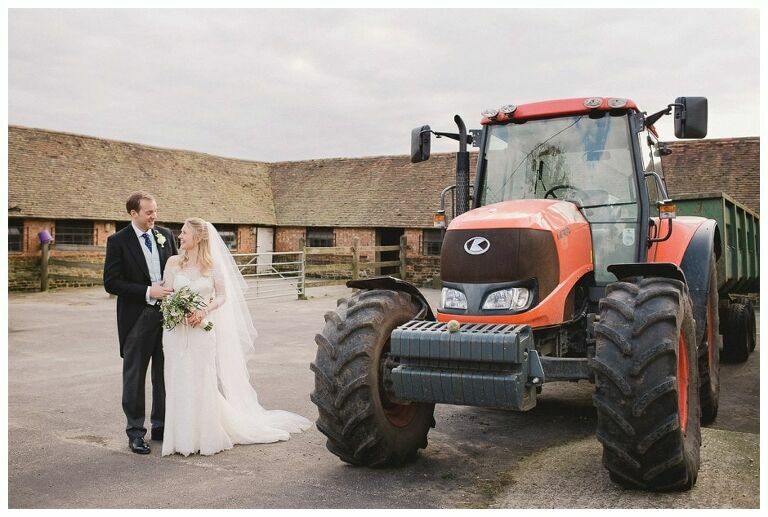 Nestled in the picturesque West Sussex village of Fittleworth, Fitzleroi Barn is an idyllic rural retreat, perfect for a relaxed country wedding, and conveniently close to both London and Brighton, three miles from Petworth on the A283. Fitzleroi Barn is a unique wedding venue and a wonderful place to entertain your friends and family on your Special Day. Situated on a beautiful farm, surrounded by stunning countryside, acres of green fields, mature trees, village lanes and period cottages, Fitzleroi Barn benefits from a large private courtyard of which guests have exclusive use. The traditional English barn is full of old-world charm, offering a warm welcome to your guests in a relaxed and romantic setting, with ample space for up to 180 people. Here you’ll find many stunning backdrops for your memorable wedding photographs. With only one function per weekend, you will have full access the day before to ensure plenty of time to set up and make the venue your own. Fitzleroi Barn is authentic in appearance, with a dark wooden frame and natural stone roof, and full of character with oak beams to both the ceiling and walls. Cosy and comfortable, the interior offers a romantic ambience with the candle-effect wall lights and fairy lights. The Long Room has striking oak beams and windows and can accommodate up to 75 seated guests. This room can be used for ceremonies, a separate bar area, or reception drinks in the event of inclement weather. The Minstrel Gallery is ideal for musicians and the perfect place from which to take photographs during the ceremony. It is also a quaint breakaway area during the wedding breakfast and evening reception party. Space here for 40 seated guests. The courtyard, conveniently located adjacent to the barn, is ideal for your drinks reception – a large area full of chunky wood furniture and vintage-style benches, and a great place for mingling guests to sit and sip champagne, surrounded by potted plants and colourful flowerbeds. A hidden gem in the heart of West Sussex, Fitzleroi Barn is one of Britain’s most beautiful barn wedding venues. The barn is set in a beautiful farm location, and you, your family and guests are sure to enjoy a relaxed and laid back day. My stunning photographs will capture all aspects of the occasion, and bring back many happy memories for years to come. Not a large enough venue for your special day? Why not have a look at other beautiful wedding venues in Sussex? Address: Fitzleroi Farm, Pulborough RH20 1JN. If you’d like to enquire about my availability for Fitzleroi Barn please get in touch here.